This post is sponsored by Magic Linen, all opinions are my own. 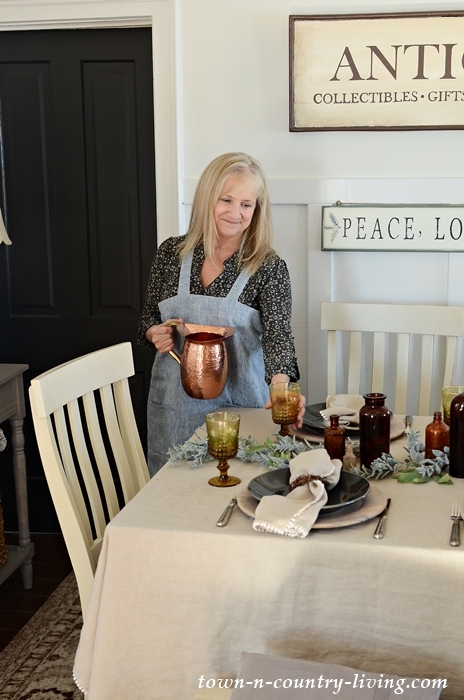 Last week I shared a variety of inspirational ways to decorate with linens. 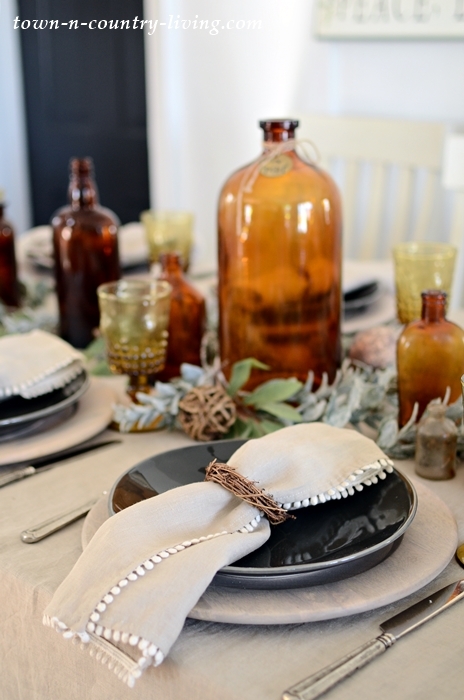 Today I’m featuring an earthy table setting with a linen table cloth and napkins as the star features! 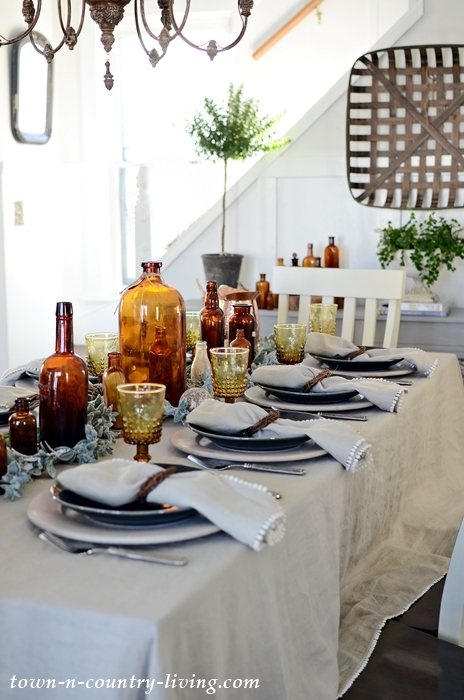 Magic Linen provided the gorgeous linens for my earthy table setting. They’re located in Lithuana and ship to the United States! I was surprised how quickly I received my package of linen goodies. Something stirred in my soul when I untied the stonewashed linens and felt their nubby weave between my fingers. These items are all handmade and I thought of the person who created my treasures while I ironed out the crease lines. And truly, who minds ironing linen? It’s so pretty to look at and touch. 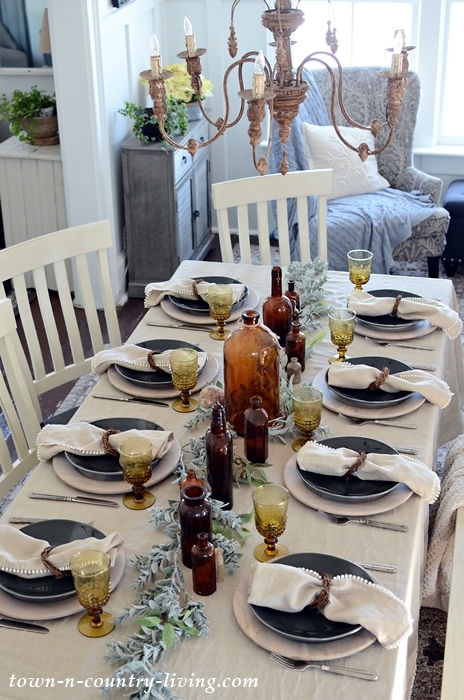 I chose the Pom Pom Trim Linen Tablecloth and Napkins. I’m a huge fan of pom pom anything (maybe that’s why I was on the pom squad in college). That little bit of white, perky trim adds a nice touch. And you’ll notice the underside of the trim is just as nicely stitched as the topside. So no worries when the fabric falls open to the wrong side. 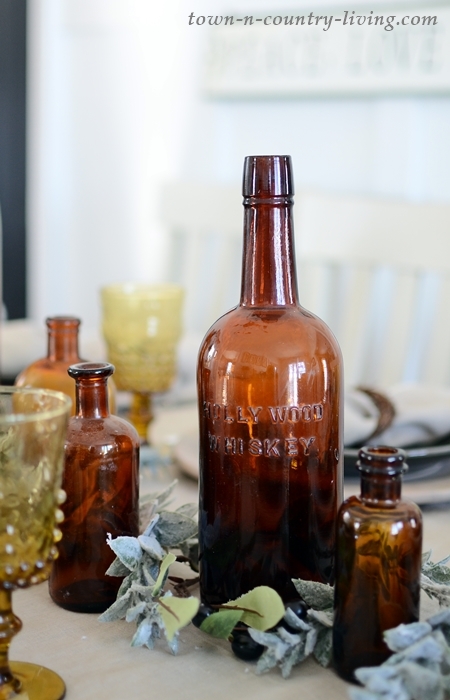 It just so happened that I uncovered a box of vintage brown bottles on the same day I was setting my table. Score! I forgot I had more of these amber beauties. 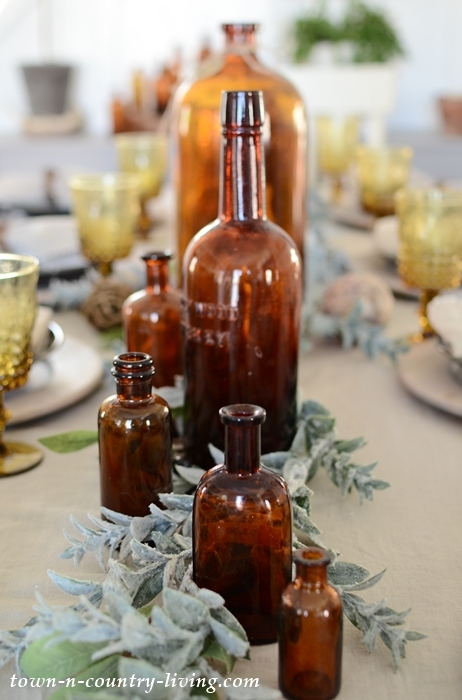 Of course I instantly realized how pretty the bottles would look atop the linen and so, they became the centerpiece of my earthy table setting. This Hollywood Whiskey bottle is approximately 100 years old. 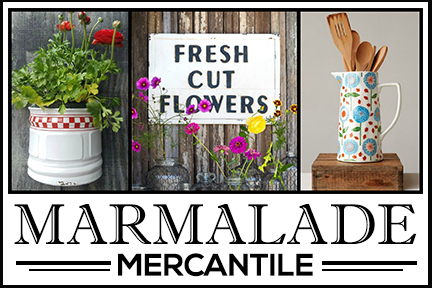 You can find them online or at flea markets for around $25. 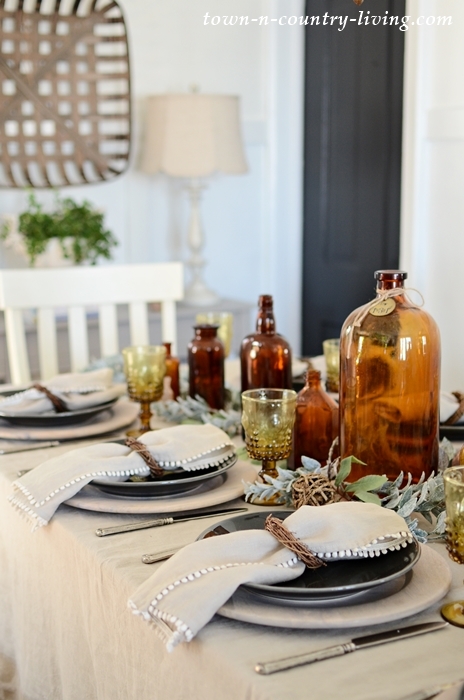 For me, setting a table is an art form. The table is a blank canvas just waiting for color and texture. In this case, the canvas is European, OEKO-Tex certfied, high-quality linen fabric. Magic Linen offers a variety of items for your home, including bedding, curtains, bath, kitchen, and table linens. There are several more pieces I’d like to collect. Most linen lovers don’t mind the wrinkly nuances of the fabric. You can wash linen by hand or in your washing machine on gentle cycle. 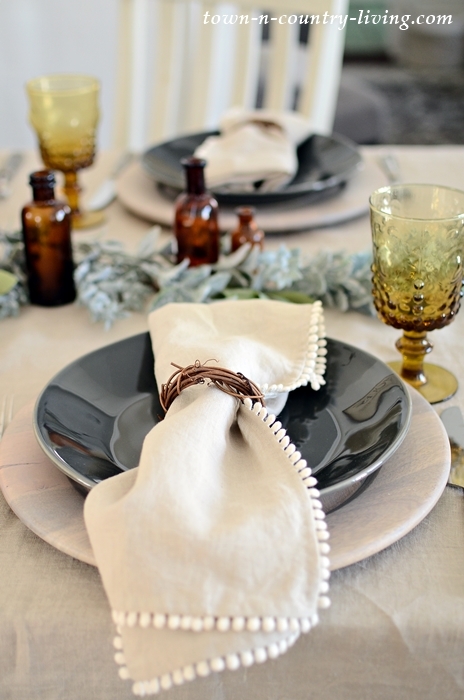 You’re probably going to see a lot more of my linen tablecloth and napkins here on the blog. I’m so in love with them, if it’s possible to be in love with a fabric. The quality is superb. Did I mention you can also find women’s clothing at Magic Linen? I’m the happy owner of their blue melange Japanese cross-back linen apron. It’s so soft and comfy! And it has pockets! Next on my list is the ruffled linen bed skirt! Sigh. My love affair with linen seems to be never-ending and now I have a wonderful source to indulge my craving! 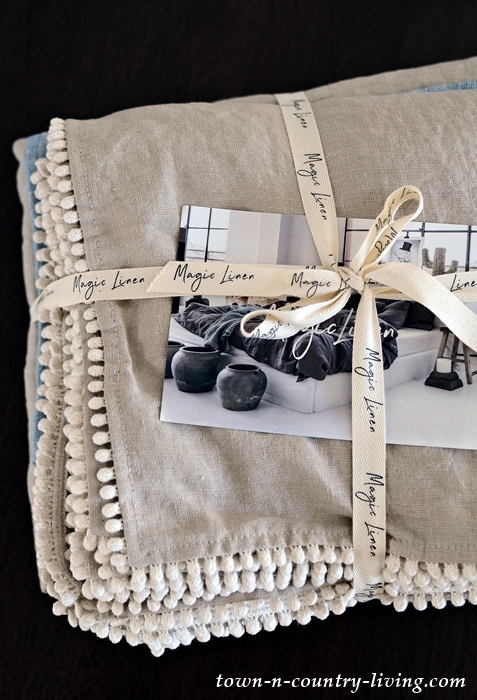 Check out Magic Linen for quality, handmade linen products. You won’t be disappointed! I agree with you completely…….the cloth is just as necessary as the canvas for a picture.. 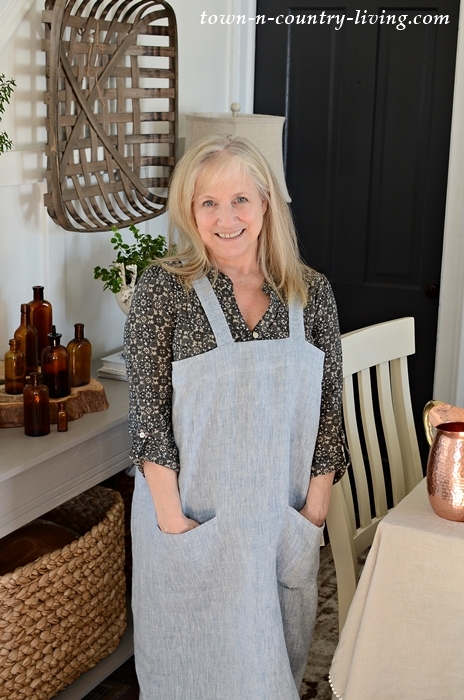 I have had a few linen pieces and enjoy using them very much. If you are the fad person that changes w/every new idea, then don’t buy the linen fabric because it will last forever. Your table is beautiful. Thanks for showing. Beautiful table! 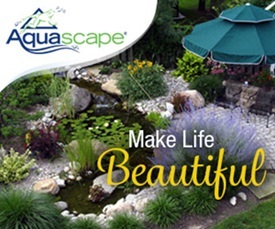 And it’s always good to hear about a reliable source for quality products! I’m thinking I need one of those runners! 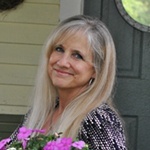 I absolutely love your table and linens. I actually have several linen tablecloths that were my grandmothers. And my mom has even more. A few are from Sweden with beautiful handwork. It’s fun to see pictures of you too! Your apron is lovely. If it weren’t snowing, ice etc, I’d be over for dinner . Just kidding . Kind of. 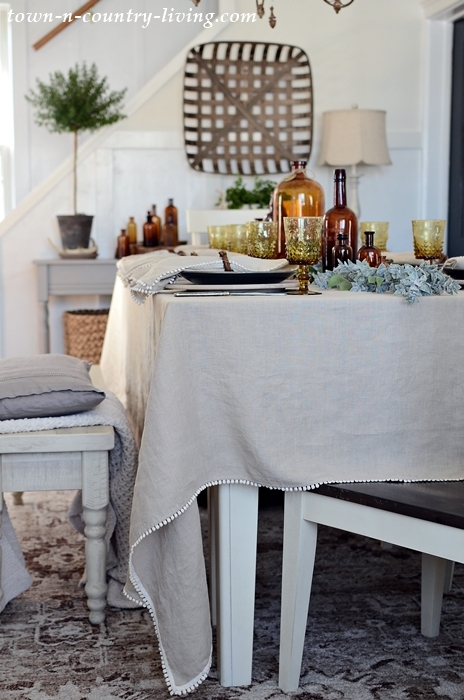 I love your linen table linens, they are so pretty. I love your new tablecloth and napkins! 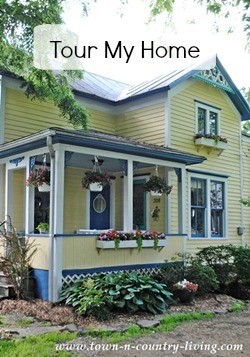 I especially love your style and blog! May I ask where you got the feather pictures? Linen fabric evokes a lot of emotion. You either love it or hate it – but I’ll never understand those who hate it – my sister included. 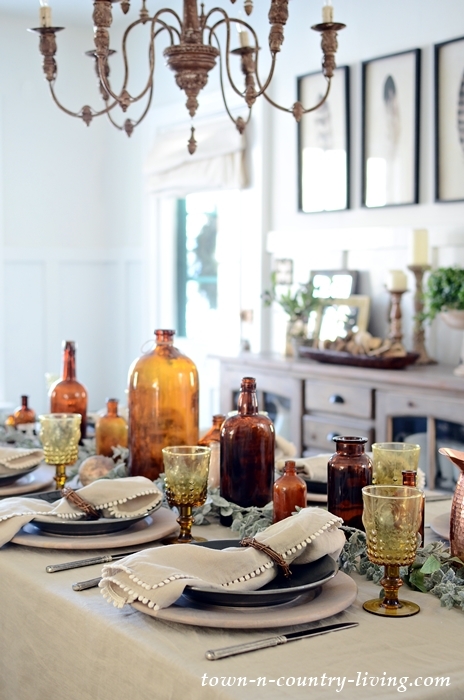 The pom pom trim is perfect, as is your brown bottle collection. 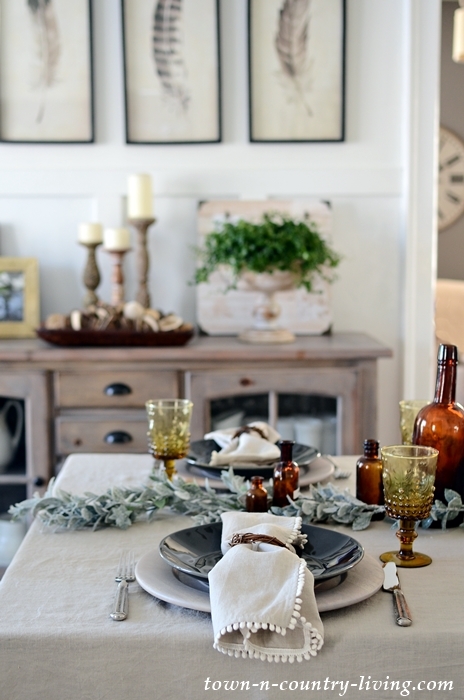 I really love the white with gray with brown decor in your home. It’s so calm yet so pleasing and interesting to my eye.